Last night was special for us because it was our last Wall Street holiday party at The Capital Grille. Thank you for making the event special by having the perfect DJ cover it. He was, hands down, THE BEST DJ I’ve ever hired for this annual event. He read the crowd perfectly, and the sound system and professional setup were top level. I wish I had those speakers in my house! Thank you, also, for working with my budget. I’m humbled and greatly appreciative. Warmest wishes for a wonderful holiday season and very happy new year. I'm not sure where to begin...it's been 2 weeks since the wedding and I still don't have words. This wedding was above and beyond anything we could have ever wanted, expected or dreamed of. The messages of hope, acceptance and love we've been getting all morning are so heartwarming, humbling and incredible. On a larger, grander scale....globally, we showed the world what love was/is about. We were able to show our families' acceptance and pure joy in the celebrations that took place. We gave hope to people who felt lost or not welcome and maybe gave them a chance to be happy and be true to themselves. I can never say thank you enough, no words can articulate my/our gratitude for what you did for us. This is something that we will remember forever and will always be a part of our journey as a couple. Thank you all, every single one of you for being a part of our story. You do not realize just how many people you've affected in a positive way by just being involved in our journey to the alter. Thank you a million times over, I still can't seem to find the words. This wedding is a physical manifestation and representation of tides changing globally; you all are a part of that...forever. I wanted to reach out and thank you and your team for the ROCKSTAR wedding day we had with our friends and family on September 29th! Everything was absolutely amazing and you all exceeded our expectations with regards to our vision! You and your team have been simply amazing from beginning to production. DJ Gino rocked it and had everyone up and dancing the entire night as his MC skills are A++++! The whole evening had a great flow thanks to his talent and suggestions he made throughout the evening. Please extend our heartfelt gratitude to Gino, the mirror booth attendant, lighting attendant, and GOBO artist as everything was simply perfect! I certainly look forward to recommending you to our friends and family and future clients! Thank you for all of your hard work with our wedding!! Everyone raved about how amazing the music was the entire day! You made everything go so smoothly and everyone was so professional! We were so ecstatic with how everything turned out! You guys are the best! We will truly be recommending you to all of our family and friends! The activation at South Park Mall was fantastic! The entire DJ USA team was professional, energetic, engagingâ€¦.the list can go on and on. Both days were very special to say the least. On behalf of The Athleteâ€™s Foot and the Dahir family (franchisee), we truly appreciate all the hard work that went into the planning and execution of this event. Iâ€™m anxious to see the recap video so we can share with all stakeholders. It shows that when we partner together we can truly make great things happen. Just wanted you guys to know DJ KKV did a great job at our party. Was impressed with his professionalism. Hard working guy with a great attitude. Just wanted you guys to know. Please let him know we were very happy. We just got back from our honeymoon. Thank you so much for being a part of our special day. It was truly the best day of our lives and we loved every minute of it! Thank you for continually working with us and helping us create personalized touches, a wonderful day, and truly unforgettable memories. 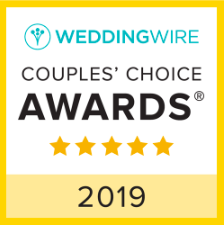 We were initially worried about having an afternoon wedding and afraid that people wouldn\'t dance but you both kept our crowd going and we got a lot of glowing compliments! The playlist was perfect and haha people kept asking if they could get the playlist thank you so much for everything DJUSA exceeded our expectations. Florine and I just wanted to say thank you once again for rocking out on our wedding day. The crowd was hype, music was on point, and everyone commented that they had such a good time. We really appreciate y'all coming down to TX. I wanted to personally reach out and thank you guys for DJ-ing the AIF NYYP gala this past weekend. It was incredibly kind of you all to donate the DJ service for this. We managed to make a significant impact for our M.A.S.T cause this year and I'm truly excited that DJ USA was a part of it. I've been receiving countless messages on how much fun everyone had at our event and this definitely would not have been possible without the DJ USA team. I've said this since Sharad DJ-ed my sweet 16 ten years ago, but there is no team that can work an event like the DJ USA team can. I really hope to work with you all sometime soon again! Thank you all so much again :) This event truly would not have been the same without you guys! Just wanted to reach out and let you know that we had a great experience with Axay this past weekend. He was very professional, enthusiastic, and played a great set. We had a lot of fun with him. Parul and I appreciate all of your help in getting this coordinated. I would like to Thank DJ Rohit and your team of technicians and planners for a excellent job with Rachelle's sweet 16 party. Our guest had a lot of fun and the music had them on the dance floor every second, not a beat missed. The selection and transitions of music selections appealing to all ages. The mature crowd are suffering from some sore muscles with all that dancing. But all joking aside we are very pleased with the professionalism, courtesy, and overall performance of your team. Thank you for once again DJ\\\'ing my children parties. I just wanted to write you a quick note. Thank you so much to you and the DJ USA team. Our wedding was this past Saturday and it was amazing. Akshay seriously brought the party. One of my biggest fears when planning this wedding was that people wouldn\'t dance. Quite the opposite happened. People loved the music so much that they were dancing on tables and chairs. Literally dancing on the dinner tables and chairs. It was SO much fun. People were on the dance floor all night, they loved the baarat too. Please pass my words onto Akshay!! Avi and AJ were both wonderful. Especially Avi. He is so attentive and helpful. He always answers my questions right away. I wanted to thank you for everything your team did for our wedding two weeks ago. We are SO SO happy with how everything turned out. The lighting, music, sounds was all excellent. Rohit killed it at the Sangeet and had everyone on the dance floor the whole night as did Juicy on the wedding day. Your staff was on point, organized, listened to everything we wanted and really made our day perfect! Also a HUGE thank you to Marco who really made the wedding night special. He is incredible and we all had so much fun. Shubham and I wanted to thank you! Everyone loved the music and the baraat! It was an amazing day and night thanks to you and your team !! Please send me the address where I can send a check too! Thank you again! You guys did an amazing job and we couldn’t be happier!! Thank you so much for making our evening awesome! You worked through all of the mishaps with a calm demeanor and kept everything on point. You made magic happen for us and called the Dhol player, and even patiently set up our video projector. Kim and I truly appreciate your professionalism. We will certainly recommend you and the DJ USA crew to all of our friends and relatives.